El Toro Blanco hopes for an ROH reunion of his friends from CMLL. Among many of the talented free agents that were available towards the end of 2018 were the Elite, Bandido and the leader of Los Ingobernables in CMLL, Rush. Rush recently spoke with SoloWrestling.com about many things, including how long he hopes to stay in Ring of Honor and also about the potential of his friends from Los Ingobernables showing up in ROH. WrestlingInc.com carried transcripts of the interview. Rush was one of the founding members of the CMLL faction along with the current Andrade of WWE. Rush's brother, Dragon Lee, is also a member of the faction and a part of ROH. The talented luchadors signed with ROH instead of potentially signing with WWE. Rush had been appearing in the US in Major League Wrestling, but once his signing with ROH became official, that partnership ended. Los Ingobernables de Japon is also huge in New Japan Pro Wrestling thanks to the expert rise of one of the promotion's biggest stars in Tetsuya Naito. Any promotion that lands or will land Rush in the future will be getting one of the most talented performers in the world. 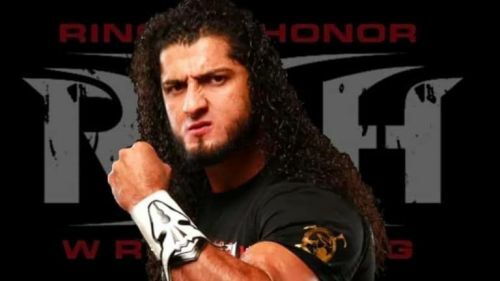 ROH was the lucky promotion in 2019, and it appears that 'El Toro Blanco' has enjoyed his time there as well, stating as much when he spoke with SoloWrestling.com. Factions are always an important part of any promotion as it easily sets up feuds between the groups and individual members of the factions. In ROH, they currently have the Kingdom, Lifeblood, Villain Enterprises, Dalton Castle and the Boys and several others that are aligned with each other. Ring of Honor also has a great relationship with both New Japan Pro Wrestling and CMLL in Mexico. Rush staying with ROH beyond this year would help ROH rebuild itself after losing the Elite to begin 2019. Due to ROH's ongoing relationship with both NJPW and CMLL, they are able to showcase wrestlers from both international promotions at different times throughout the year. Since bringing Los Ingobernables to ROH as a full-time faction is on Rush's mind, it will likely happen at some point this year.